Bumiputraism is an issue that has plagued us for a long time, yet politicians and social commentators/columnists, ignore it. (The only person who has come out openly and categorically to talk about it is – to my knowledge – Wan Saiful Wan Jan). Others like Khairy Jamaluddin talk about the quota system – he is a coward who is afraid to call a spade a spade. Is the quota system not part and parcel of Bumiputraism? It is the spine of Bumiputraism – be it quota aka privileges in education, jobs, business and so on. It is the elephant that has overstayed. It has been around longer than most Malaysians have been alive. I don’t blame some young Malaysians for thinking that it has always been like this – that our citizenship comes in two categories: Bumiputra and Non-Bumiputra. That it is one of the corner stones of our founding constitution, when in fact the word came into use only after 1970. It has been with us so long that the younger generation accept this as the natural order – that one set of people (as princes of the earth) are born to privileges denied of the others. Consequently policies were made (and is still being made) to accommodate this perception. And it does not help when the government reinforces this through the Biro Tata Negara (BTN). Many politicians and academics have tried to equate it with affirmative action. One academic even said America also had affirmative action based on race. He is not being totally honest and he knows it. Bumiputraism is not affirmative action, it is racial discrimination. Affirmative action is based on principles of fair treatment and needs, not race. Bumiputraism is racial discrimination; however its supporters try to pitch it. Bumiputraism is the biggest problem facing our country because from it emanates many of our other problems; or at least our problems are exacerbated by it (if not exactly sprung from it) – racial polarisation, inefficiencies, corruption, bad education, brain drain, to name a few. It permeates every aspect of our lives from sport to the arts to getting a P.R. for your spouse (if you are not bumiputra forget about it). If we accept the general perception that Bumiputras refer to the indigenous peoples of Malaysia then it should refer only to the natives of Sabah and Sarawak (Ibans, Kadazans, Muruts, Penans) and the Orang Aslis (Temiars, Smyas, Jakuns and the Proto-Malays) in West Malaysia. Everyone else is an immigrant or ‘pendatang’ (as the Deputy Prime Minister labeled the Chinese and Indians) who came here at different times in our history. Some came earlier than others, but they came from somewhere else, all the same. However, UMNO politicians have manipulated it to include the Malays, who were immigrants from Nusantara – Indonesia. I have yet to come across a Proto-Malay or Melayupurba stock person; there are so few of them. Najib has proudly declared that he is Bugis and Khalid said his ancestors came from West Java. Malays originally came from Indonesia (actually Malays are a minority ethnic group from Riau and Deli in Sumatera. In Malaysia, “Malay” has been used loosely to encompass all who came over from Indonesia be they Minangs, Achenese, Mandalings). Strictly speaking, they are not Bumiputras in the true sense of the word, they are not the original people of the land. To complicate the definition even more, our constitution defines a Malay as anyone who speaks Malay, follow Malay customs, and is a Muslim – it has nothing to do with ethnicity. This allowed thousands of Indian Muslims, Pakistanis, and others who fit the definition, to be counted as Malays. Mahathir who is half Malayalee is the most famous of these pseudo-Malays. But we all accept the 1957 Constitution with all its imperfections – no constitution is perfect – and so the definition of Malay. But that is not the issue; the issue is racial discrimination. Bumiputraism is a political construct (invented to serve certain political interests); it has nothing to do with recognising the position of the indigenous people and respecting them and bestowing on them the title ‘princes of the earth’– like the First Nation, in Canada or Maoris in New Zealand. It has little to do with indigenity and plenty to do with race politics. If it is a genuinely indigenous peoples focused policy, why are the aborigines at the bottom of the barrel socially, politically and economically? It has nothing to do with affirmative action either, which is needs based. Usman Awang, the late poet laureate, put it so eloquently in his poem “Sahabatku – My Friend. I get the title ‘bumiputra’ and not you. (Extract from the poem Sahabat ku which Usman Awang dedicated to his friend Dr M.K. Rajakumar). Despite the government’s claim that it wants to unite the country – from Mahathir’s Bangsar Malaysia to Najib’s 1Malaysia – all they have done is come up with empty slogans; but continue with racially divisive policies. Bumiputraism divides one set of Malaysians from another – irrespective of economic activities (which the NEP tried to address). It is a “them and us” demarcation based solely on race and religion.It creates a mindset of entitlement in those who have the title and a sense of resentment in those who missed out. It is the wedge that divides our country. It Corrupts the National Psyche. Bumiputraism goes deep into our psyche – beyond handouts and privileges. This racial branding is a psychological stigma and burden on the country while not addressing the problem of wealth disparity. It creates a warped mindset in Malaysians. “We better put a Malay at the top, otherwise . . . ” Whether this is a sports organization or NGO or whatever. The general perception is, with a Malay at the top it is easier to get things done or to get something from the government or whatever. And if that person is a Dato or Tan Sri, better still. “Race” creeps into our thinking in one way or another. It has become part of our national psyche. It also warps our psyche in another way. It does not matter that a Malay has risen to the top through merit; the perception is “he got there because he is a Malay” not because he is the best. How unfair that is! But can you blame the general perception? Bumiputraism is a title that is twice cursed. It curses those who have been given it as they are regarded as less capable, their achievements, however legitimate and worthy and entirely due to merit, are questioned; they carry the stigma of people who live on government handouts. Both Mahathir and Badawi have alluded to it as crutches that the Malays have become too dependent on, and now cannot stand on their own feet without them. It curses those who have not been given the title, because they do not get the help they otherwise deserve, their achievements which they worked so hard for, are often not enough to gain them entry to public universities or even to colleges which are reserved exclusively for Bumiputras. 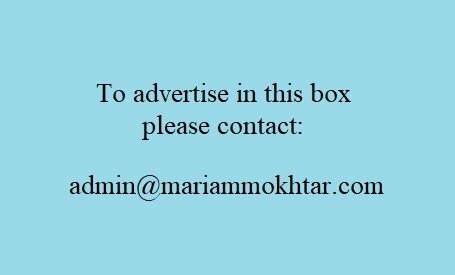 They are often passed over for promotion in government jobs despite their hard work (that is, if they have a government job). And they do not get the help and incentives for business like Bumiputras do – unless you are an UMNO crony. They are regarded as second class citizens, and live with that indignity. So to just remove race-based policies alone(as some politicians want) is not enough, we need to remove the title – to expunge it from our national psyche; and end the “them and us” mentality. Racial Discrimination is Morally Indefensible. South Africa was an international pariah because of Apartheid. The Australia of the ‘50s – during the time of the “White Australian Policy” was condemned by other more enlightened Western countries and by all Asian countries. All religions condemn racism because it runs counter to all decent human principles. The Malaysian Government has condemned Apartheid, Malaysians, including Bumiputras have condemned the racial discrimination is the U.S., the racial/religious discrimination of Western Society. We should look in the mirror first. Malaysia is peculiar in that we do not have racism per se – the races mix freely – so we invented institutional racism. There is no segregation like they had in America and South Africa. There are no “for ‘whites only” beaches, or entrance for ‘blacks’ only. By and large, the races mix easily and deal with the daily rough and tumble of a multi-cultural society quite successfully – without government interference. It is ironic isn’t it? We have a largely harmonious cultural mix, yet we decide to create an artificial divide. The only encouraging thing is that it is easier to deal with institutional (political) racial discrimination than it is to deal with a social one. The latter requires a change of hearts and minds through education and long periods of social mixing between the races. This takes generations. The former requires just a change of government through the ballot box; replacing it with a more enlightened government that takes care of all Malaysians according to their needs and not skin colour. A government of Malaysians, for Malaysians and not a government for any particular race. No country that is divided along racial lines has ever prospered or remained united. When you have a system where someone is rewarded not because he is the best, but on the colour of his skin; how efficient can the system be? If we do not put our best people (irrespective of race) to head our government – civil service, police, army, educational establishments, GLCs – are we making the best use of our human resource. If university entry is based on race, are we producing the best graduates – the workforce that makes us competitive with the rest of the world. If our university chancellors and lecturers are mediocre, so will be our universities and the graduates they churn out. When once the University of Malaya had a respectable reputation, today it (and other Malaysian universities) languish at a lowly position in the world ranking of universities. When our smartest and brightest find that opportunities are limited in Malaysia will they not look elsewhere? Frustration at a racial glass ceiling that does not recognise talent, will drive our more ambitious overseas. This will only benefit (and has benefited) our neighbours and others. Yet our leaders are quite happy to cut off their nose to spite their face. With globalisation upon us, can we afford to be less competitive? The world does not give two hoots about your racial policies. One can go on and on about the inequities of a racial system. But ultimately one has to ask; has the end at least justified the means? 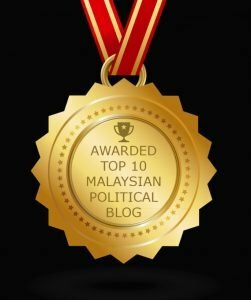 Is Bumiputraism good for the Malays (and Malaysia)? This is not to deny that the Malays have not benefited from the system. Bumiputraism has raised the standard of living of the Malays and brought it to the level of the other races. There is now a large educated Malay middle class, more professionals, a Malay business class, more Malays in urban areas working in government and industry. That is all well and good, but the way the government went about it is divisive, unnecessary and ultimately detrimental to the Malays – never mind that it has a negative impact on the country as a whole. The same goal – raising the standard of the Malays – could have been done without resorting to racial policies. (But then, at the end of the day it is about politics and staying in power – thus UMNO plays the race card). All this comes with consequences: Graduates who do not meet the requirements of the private sector,and are therefore less employable, a business class which is uncompetitive and too reliant on state help, and a community which is not confident of itself. Two generations of mollycoddling has held the Malays back. To use a hackneyed cliché . . . give a man fish and you feed him for a day, teach him to fish and you feed him for life. Similarly too much protection and handouts makes a community uncompetitive and dependent. To make matters worse, when you give him a title, he thinks what he is given is an entitlement instead of a helping hand. And as if it could not get worse, he is led to believe that this is forever. Fifty years of bumiputraism has ‘softened’ the Malay race. Mahathir himself has said words to the effect that despite having their hands tied behind their backs,the Chinese have done well. Let me tell you, the Chinese are not supermen, give them a cushy life and they will also become ‘soft’. But because they have only themselves to depend on, they have no choice but to slog or else they don’t eat. Necessity is not just the mother of invention, it is the mother of resourcefulness, hard work, perseverance and skills. It is a matter of survival. All this is nothing new. UMNO know it. Yet they persist in such policies because it helps them stay in power – by riding on the fears and dependency of the masses. This is the ‘divide and rule’ principle which has been employed in many different countries – but which finally fail because it has no moral currency and limited efficacy. What will happen to the Malays if Bumiputraism is removed? UMNO and their fellow travellers have from the beginning put out the message that if not for them, the Malays would be in a bad way (and I am putting it mildly. Mahathir actually said something to the effect that they will disappear from the face of the earth). When politicians engage in such racist rhetoric how do you expect the Malays to react? (By the same token MCA and MIC say that if not for them things would be worse for the Chinese and Indians respectively). These are not words of unity but disunity. It’s divide and rule, pure and simple. Now that there is a large educated Malay middle class and increasingly more and more young Malays have studied abroad and exposed to liberal democratic ideas, it is not so easy to bamboozle the Malays – the urban Malays (UMNO and PAS voter base is mainly rural). But rural or urban, Malays should examine the truth of UMNO’s claim. What would happen if Bumiputraism is removed. If affirmative action based on race is ended? If Bumiputraism is removed without a proper affirmative action policy in its place then it would put a lot of Malays in difficulty. The majority of Malays still need assistance in one form or another and this should be given. But this assistance should be structured as a “helping hand” and not a “hand-out”. It should be means tested and based on needs. University places should be based on merit (to get the best of the Malays – look here, not everyone is suited for university, be he Malay, Chinese or Indian). The present system benefits the powerful and politically connected – UMNOputras – disproportionately to the ordinary Malays. This is unfair because it expends increasingly limited resources on those who do not need it, at the expense of those who do. Why should a rich Malay be entitled to scholarships for his children when he can afford it? Why should a rich Malay be entitled to discounts in house purchases or buying of shares? Why must monopolies be given to certain people with the result that prices remain high, when open competition would ensure lower prices.This adds to the cost of living of ordinary Malays (and all Malaysians). A blanket, unbridled race based policy impacts on everyone – especially on the majority Malays. If Bumiputraism is ended and a proper affirmative action is in place, the main beneficiaries will still be the Malays – only now there should be more going round. However the deserving Indians and Chinese will also benefit. The latter less so because the numbers needing help is relatively small and the Chinese are very resilient, resourceful and self-reliant. What has the Malays got to be afraid of the others? The Malays control the government, the police, the army, they have ministers in the most important ministries. The banking system and insurance are controlled by the Malays, a Malay controls the import of rice, sugar and other essential goods. Petronas is controlled by the Malays. Proton and Perodua are Malay owned. Malays own the franchise of Peugeot, Citroen and so on. All the GLCs are run by Malays. What has the Malays got to be afraid of the others? They own the economy and run the country. Apa Cina (dan Orang India) mahu lagi? If the non-Malays question their position in the country and criticise the discrimination, they are asked what more do they want. 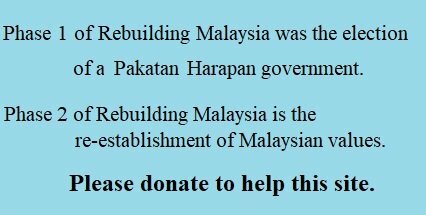 It’s as if whatever they have got has been due to the charity of the Malays. But that is not how citizenship is supposed to be. Does the above then speak for the position of the government, since it comes from the government-appointed chairman of an organization set up to bring about unity in the country. And by the way, shouldn’t the government ask why after 60 years, the country is still divided? What have they not done right? They can’t keep doing the same thing and expect different results. The Chinese and Indians cannot run the country, the numbers will tell you that is impossible. What they want is dignity – to be treated as an equal citizen and not as a second class citizen. They want fair treatment and fair opportunities to pursue their ambitions. They want to be treated just like any other citizen – not asking for special favours or special treatment. We should not let UMNO or PAS use the Chinese and Indians as bogeys and scapegoats. We have a great country. Whenever I read about racial matters, all I need to do is stroll around our one-horse town. This is almost a microcosm of Malaysia – the Malays are the majority, the Indians second and then the Chinese and the Temiars from a village nearby. Malay stalls are set up next to Chinese and Indian stalls. People buy from anyone they like – choosing on quality and price. 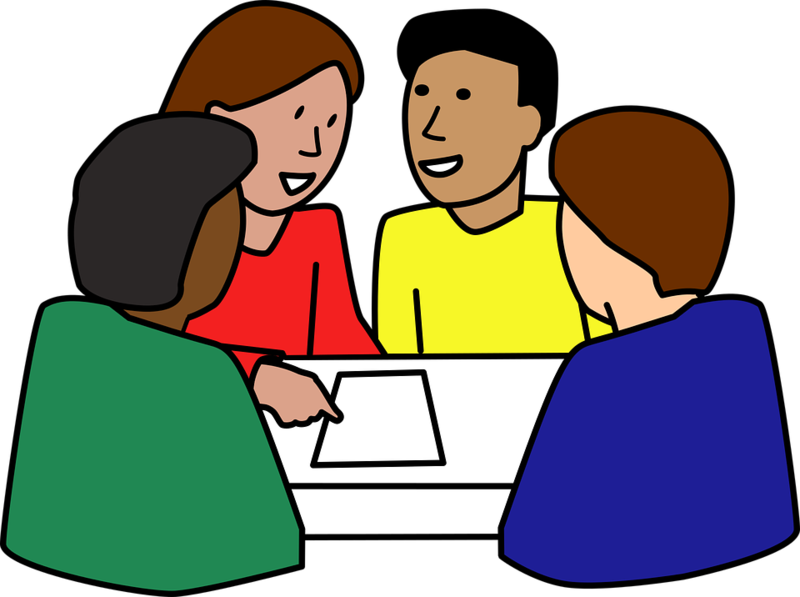 People chat with each other – Malays, Indians, Chinese. Indian barbers cut Malay and Chinese hair. Everyone eats at the meegoreng run by a Mamak. Many of the shops employ Temiar women. My own dhobi is Malay run even though there is a Chinese one a stroll away. I go there because I like the person, because his service is good. And by the way, when I asked him if he got help from the government he just laughed and said he did not have the connections. Our MP is a Malay and no one has a bad word to say about him. He has delivered. People in general don’t care what the colour of the cat is, as long as it catches mice. And you think people from TR are tigasuku? We are probably more altogether than the lot of you out there. Footnote: The only encouraging thing in all this, is that it is easier to deal with institutional (political) racial discrimination than it is to deal with a social one. The latter requires a change of hearts and minds through education and long periods of social mixing between the races. This takes time. The former requires just a change of government through the ballot box; replacing it with a more enlightened government that takes care of all Malaysians according to their needs and not skin colour. Whatever gains the Malays have made – a large educated middle class, more Malays in the professions, a Malay business class – could have been attained without using racial policies. A genuine, well thought out and implemented affirmative action based on needs, would have delivered the same to the Malays if only because they are the majority. But it would also mean that the deserving among the non-Malayswould not have been neglected. Ultimately, bumiputraism is not good for the Malays because, instead of encouraging them to perform and supporting them to achieve, we lower the bar for them, which signals to them that they do not have to try harder because, whatever, they will be given a place in a public university or college or special schools reserved only for them. Instead of having to prove themselves in business they have businesses handed to them on a platter and if it fails, the government will pick up the tab. Where is the drive to succeed when you know that whatever happens to your shipping company or the national airline which has been handed to you, you will be bailed out. This is not the way produce a resilient and viable bumiputra business class that can compete with the rest. But the irony of all this is that much of the privileges given to bumiputras do not benefit the Malay masses. A poor Malay has not got the money to purchase shares, whatever the discount they get. For that matter most do not understand investing in stocks and shares and in the rural areas there are no facilities for them to trade in or have access to information regarding shares. Discount for home purchases is fine, but how many houses can an ordinary Malay wage earner buy? So who benefits the most from all these bumiputra privileges? Certainly not the Malay masses. well thought commentary on what bumiputraism has done to deconstruct Malaysia. The Minority groups will not be patriotic es.ties. cod many are waiting for good opportunii. Look at SingspoRe National Day. They feel so proud to be there. Compare it with our Merdeka, Singing a. Song does not Mean patriotic. I agree completely with what Mariam Mokhtar has said. It is a very well written article. Regretfully, not a single comment —supportive or critical has come from any of the bumiputras or umnoputras — for they have all benefited by being on the gravy train, Most of them, including personal friends of mine, still do not want to get off the gravy train. The political leadership need to have the courage to roll back the bumiputra policy — in stages if necessary — and change it into a needs based policy to benefit all Malaysians. Malaysia needs to become a beacon for the world — and it can.